Guru Jambheshwar (b. 1451) is the founder of the Bishnoi community. Before his death, he had laid down 29 principles to be followed by the sect. Killing animals and felling trees were banned. Before his death he has stated that the black buck was his manifestation after death and should be conserved. One of the worst things to happen to a hunter is to be caughtt by the Bishnois. 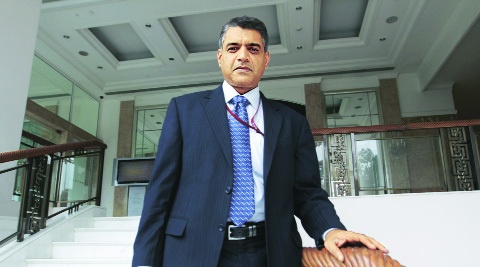 “Once, an Indian Air Force captain was caught hunting. We stripped and forced him to lie down in the hort sand in the middle of summer. 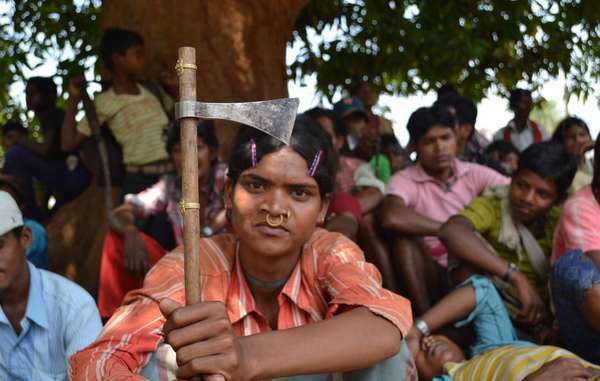 He’d never dream of hunting again,” says Bana Ram of Guda. This ruthless protection of animals is part of Bishnoi culture. In 1730 AD, a small village located 26 km south-east of Jodhpur in Rajasthan witnessed probably the first and most fierce environment protection movement in the history of the country. 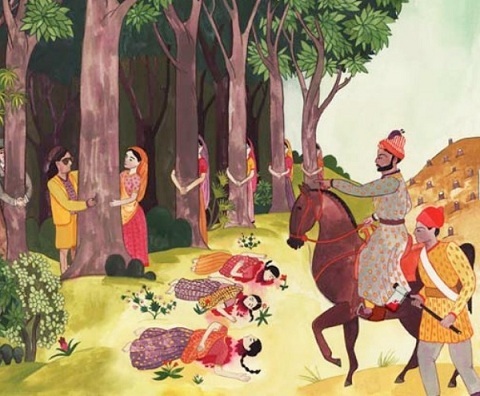 Amrita Devi of Khejarli village and her three young daughters laid down their lives to protect the sacred trees which the ruler of Marwar Maharaja Abhay Singh had ordered to be cut down for building his new palace. The ‘martyrs’ belonged to Bishnoi community and the trees which they were protecting were ‘Khejri’. In 1970s, this sacrifice became the inspiration behind the Chipko Movement. However, two centuries on, the story has a twist. In 2015, the Central Arid Zone Research Institute (CAZRI) took out a report which stated that the number of Khejri trees per hectare in the 12 dry districts of Rajasthan had dropped to less than 35 per cent. «« Bookshelf: Scarcity – Humanity’s Last Chapter? India is blessed with “Bishnoi” community who cares for our nature and ecosystem. 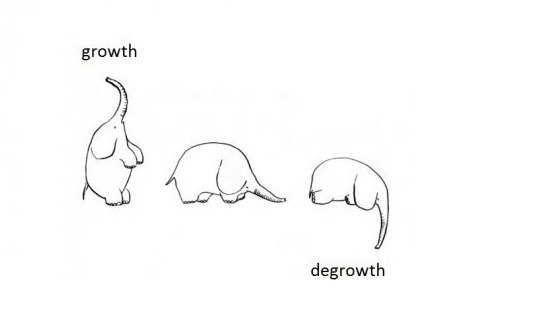 They started way back….when are we starting? We “literate” people should also understand how important is to save our nature. Lets pledge to save our ecosystem….! 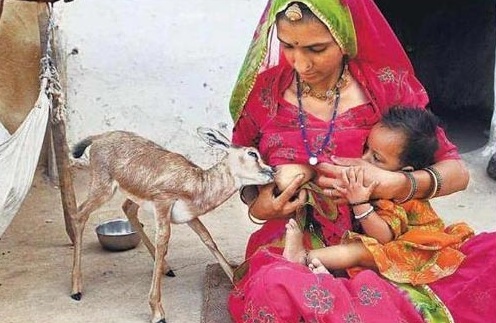 The picture “A Bishnoi woman breastfeeding a young buck along with her child” itself says how lovely these people are ! These are my ancestors, I live this way, with trees, animals and nature. 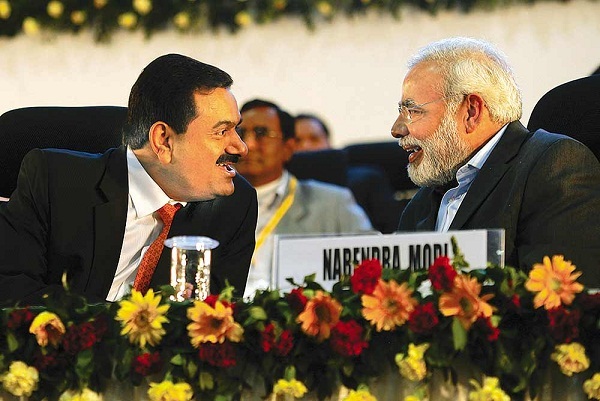 Thank you Bishnois.